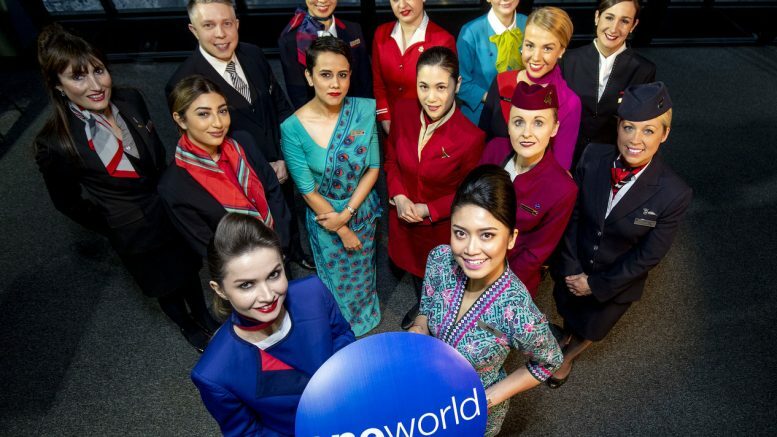 Oneworld to make life easier for travellers? 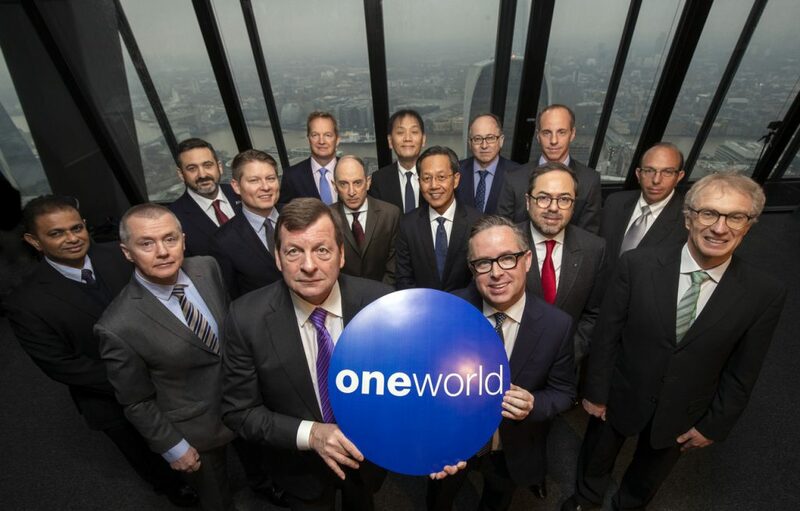 The CEOs of oneworld’s airlines met on Friday in London to mark the 20th anniversary of its launch and announce some interesting changes. oneworld was launched on 1 February 1999 by founding members American Airlines, British Airways, Cathay Pacific Airways and Qantas. The announcements contained what I think will be some useful technology for travellers. I am continually downloading airline apps on my phone to be able to check-in online or check the status of a flight. The new oneworld app should solve a lot of these issues when travelling within the alliance. There will be a new oneworld digital platform that will, as it is progressively rolled out, provide more seamless connectivity for customers flying on multi-sector, multi-airline journeys. You should be able to manage your booking on any oneworld airline via any of their apps on a trip. This will also apply to the website as well. oneworld plan to try and co-locate their airlines together at a number of key airports around the world. There are also plans to unveil the first oneworld branded, developed and managed lounge later this year. This could be similar to the oneworld business lounge at Los Angeles Airport. You can read my review here. The alliance’s website has also been redesigned. Although it looks a lot better, it is not that easy to find things now. The lounge locator is now here. Their new membership platform, oneworld connect – designed with smaller, regional airlines in mind – will add Fiji Air as the first partner by the end of March 2019. Talks are progressing with other airlines interested in signing, from the Americas, Europe and Asia-Pacific, enabling the alliance to expand further globally. (Alaskan was rumoured to be one of these). The US Capitol in Washington D.C.
Today’s fare is with Star Alliance member TAP who have been pricing their fares very aggressively recently. They are expanding more into the US and have an impressive new business class product on their A330-900s. The fare starts in Dublin and routes via Lisbon. The catch is that at the moment Washington is showing their old business class product which comes in a 2-2-2 configuration with angled lie-flat seats. With six free transfers being allowed you could see if you could route via Miami for example which is getting the new business class seats from 1 March 2019. There are few restrictions for this ticket apart from travelling after 16 June 2019, being able to cancel or change for a fee and two free stopovers. You can search for the lowest prices on Skyscanner. If you want to do a more complicated itinerary, our partners Propeller Travel can help. There was a lot of build up to what BA would announce last Friday with teasers on social media. Those of us hoping for a big promotion would be disappointed as it turned out to be a new celebrity-strewn advert to celebrate their 100th anniversary. The video includes TV and film stars Gary Oldman, Olivia Colman and Riz Ahmed, sporting stars Anthony Joshua, Ellie Simmonds, Nicola Adams, Chris Robshaw, Harriet Millar-Mills and Anthony Watson, musical icons Paloma Faith and The Kingdom Choir (with a cameo from David Bowie), alongside contemporary artist Grayson Perry, anthropologist Jane Goodall, chef and TV presenter Matilda Ramsay and Helen Sharman, the first Briton in space. It features customers, cabin crew, pilots and engineers from across the airline as they carry out the final touches for a special British Airways flight – BA100. As the passengers make their journey on board, they each recount the values that they feel make Britain such a special place. 5 Comments on "Oneworld to make life easier for travellers? Washington from £1093 & BA’s 100 year celebrations"
So sad to see the two publicity pics on oneworld as they say everything about gender and the corporate sector, airlines in particular. Yes that thought did occur to me although there are now plenty of female airline CEOs and male cabin crew! I disagree, why on earth is it so sad ? Ridiculous . Tom Baum – if you google and select an image the current EU commission you’ll find an even sadder depiction of discrimination. Michelle, certainly that is true although the female CEOs are still very much a minority. In terms of cabin crew, what is sad for me is that the gender balance is not reflected in the publicity pic. Its called role stereotyping. AndyH – the same is true of the Saudi cabinet but that does not make the oneworld image any better.